It's week six (I think?) 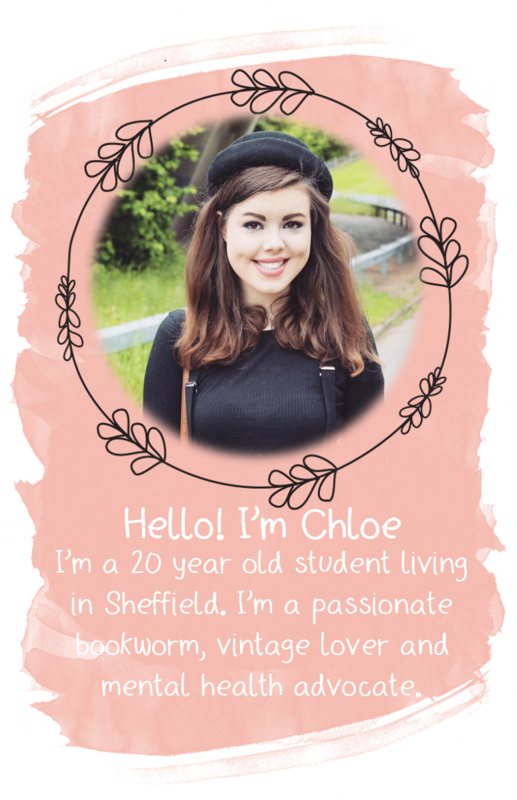 of the #BritishBloggerSelection and this weeks theme is 'Haircare' so I'm going to be sharing with you My Current Haircare Routine! I have naturally quite curly, wavy hair and so my haircare routine is full of products specially designed for my hair type. I love the tousled waves beachy look so these are products that help me achieve this look. My haircare routine is fairly basic, as I don't curl or straighten my hair, I just keep it very natural and lovely, so I don't really need many products. When I wash my hair I use the Herbal Essences Tousle Me Softly Shampoo and Conditioner. This really helps to make my hair even curlier which I love. I find it works best if I just leave my hair to dry naturally, because I find that if I use a hairdryer it takes away a lot of the curls, which is something I obviously don't want. When I'm washing my hair I shampoo it twice and I leave my conditioner on for about 5 minutes. I've been using this technique for a while as I think it gets my hair as nice as it can possibly be. 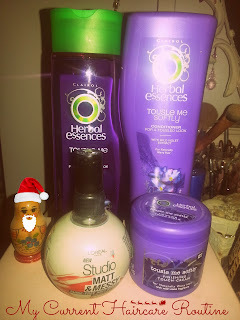 As with all of the herbal essences products I've tired, these products leave my hair feeling so soft and smelling amazing. To style my hair I use two products. The first is the Herbal Essences Tousle Me Softly Finishing Cream, and I pop this on my hair when it's wet and it really helps to make sure the curls last all day. One of the best things about this finishing cream is that it isn't sticky or greasy so once you've put it on you don't notice it's in your hair at all. The second styling product I use is the L'Oreal Studio Line Matt & Messy Salt Spray. I spray this on dry hair, mainly on days I haven't washed my hair, to give it that extra beachy wavy look. This has to be the best salt spray I've ever had. I find it doesn't leave my hair sticky and horrible and it lasts all day. So that's my current hair routine! Have you tried any of these products? What did you think? I love Herbal Essences too! I agree with you that after using it, it's makes my hair feel so soft and smells good.